Women Are Not Marshmallow Peeps, And Other Reasons There's No 'Chick Lit' A recent debate over book reviews and the ubiquity of similar Brooklyn writers stresses the desperate need to put away the term "chick lit" forever. Here's an idea: If you're going to try to report on the fact that a couple of women who write books have tried to start a discussion of whether the mega-response to Jonathan Franzen's Freedom is symptomatic of a too-narrow view of interesting fiction, it might be a good idea to stay away from the formless and dismissive term "chick lit" in discussing them. And then on Monday, novelist Jennifer Weiner tweeted, "Call for non-Franzen novels about love, identity, families, The Way We Live Now. I pick Anne Tyler's DIGGING TO AMERICA." She attached the wry hashtag "#franzenfreude," which she'd kicked off a few days earlier. Her entire approach, which had begun with a tweet about the president "succumb[ing] to Franzenfrenzy," hadn't been hateful or bitter -- just sort of amused. And she wasn't alone: I mentioned on Monday that I, too, found the slathering of praise (such as "novel of the century" ten years into the century) rather odd, even without having any particular opinion about whether the book is good (as I still don't). It's a category we just don't even need anymore. I've written before about how much I dislike it when people don't distinguish between popular women's fiction and the much narrower category of shoe fiction (by which I mean fiction disproportionately focused on the acquisition of designer shoes and bags and other yabba-dabba-doo that is inevitably described in nearly pornographic detail). But at this point, I think the only solution is to stay away from the term "chick lit" as much as humanly possible, because it's become a term that means "by and about women, and not something you need to take seriously, although we're not necessarily saying those things are connected, so it might be a giant coincidence." Jennifer Weiner writes primarily about relationships between and among women. She writes about families, she writes about loss, she writes about loneliness, and she writes about a wide variety of other human emotions. The fact that she wrote a book called In Her Shoes doesn't mean she writes primarily about shoes. (Seriously, is that where this started?) That book is about family -- just like, for instance, Jonathan Tropper's This Is Where I Leave You (a great book, by the way), which may or may not be a book written with greater skill, but which does not find itself assigned to a special genre as a result of being about a man, written by a man, and concerned with a man's thoughts and feelings and complicated family and romantic relationships. Once we're calling Jennifer Weiner "chick lit," I don't know what "chick lit" is, and I don't think I'd like the answer if I did. Most of the definitions I've ever known are apparently too narrow. If "chick lit" means it's about young, independent single women looking for love (which was what I understood to be the earliest definition, when I first heard it back in the Bridget Jones era), Jennifer Weiner doesn't qualify. If it means it's about finding a guy in general, she doesn't qualify. If it means the book isn't serious, she doesn't qualify. If it means it's about the centrality of men to the lives of women, she doesn't qualify, since most of the most important relationships she's written about in her career are relationships between women (sisters, friends, mothers and daughters). 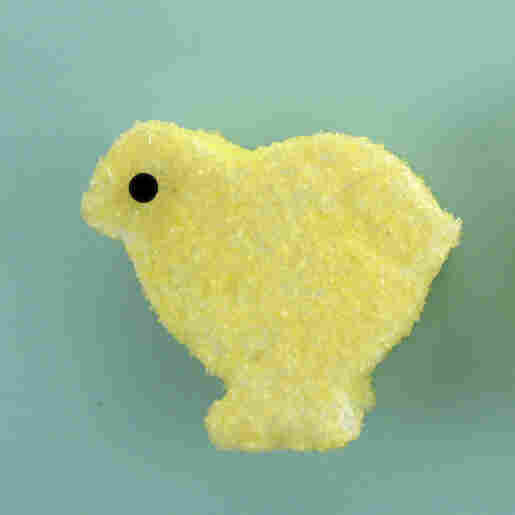 The term "chick lit," as I mentioned today on Twitter as I was composing this entry, increasingly makes me feel like I'm being compared to a marshmallow peep just for reading books by and about women. I know what romance novels are -- I read some of them, I dislike many of them. I know what shoe fiction is, in my own experience -- it's fine, but it's not very nourishing. There are subgenres within commercial women's fiction that are real and identifiable. But I don't know what "chick lit" is anymore, except books that are understood to be aimed at women, written by women, and not important. And I can't get behind that.